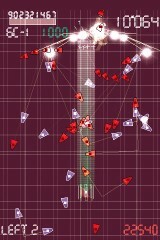 This game is similar NOIZ2SA (Yep, another shootemup!). The main menu allows you to choose from four different games modes and 10 levels with-in each game mode. Once you select which game mode and level you would like, just two finger tap to enter the game. You can move your little guy at the bottom by dragging it around. 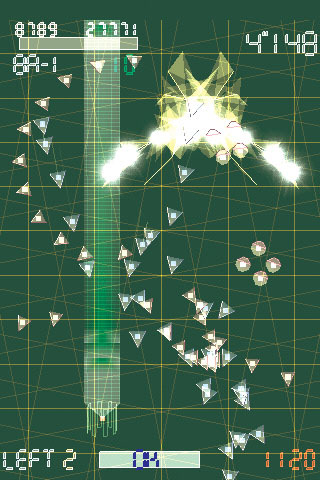 The objective of the game is to shoot the “thing” at the top without getting killed. 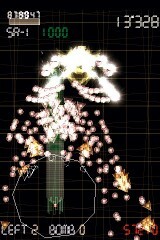 You can two finger tap to set off bombs (they look more like shields to me!). The game play is smooth and the graphics are sweet! Definitely an app worth checking out (if you are into shootemup games! :) ). 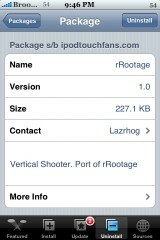 rRootage is available through the iPod Touch Fans source. 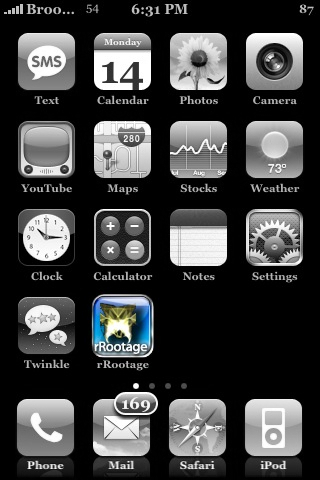 Sweetnes = Shoutout to AppleiPhoneSchool.com in the splash screen! Lazrhog…I still think it is a boy thing! 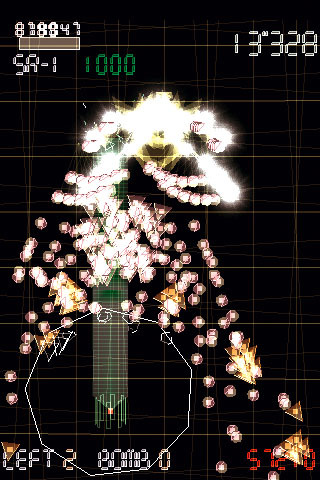 :) Also, thanks for the screenshots…it is seriously impossible to get a screenshot of this app, I tried three different ways! better or worse than NOIZ2SA??? Cant get it to work. 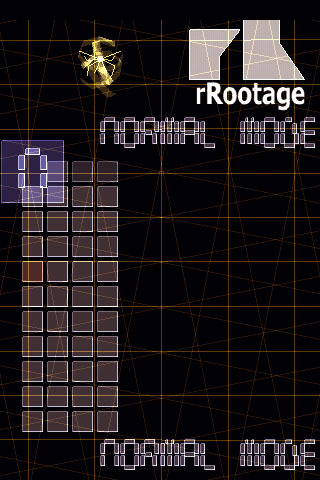 I can select the levels, but how do you start? Use one of your second fingers …. Maybe you should put a pop up that appears the first time the user runs the game. Or what if someone creates a popular website, then puts up screenshot of said pop up? wow tnx for the news and games. om loving it! no audio? at least, i’m not hearing any. btw, great site. 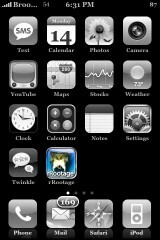 just jailbroke my ipt and am finding the info on this site to be indispensable. The requested URL /repo.xml was not found on this server.